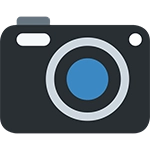 A wide angle lens – this is usually something in the 16-35mm range on a full frame camera, allowing you to capture those gorgeous wide shots of a building in its environment. A standard zoom lens – something in the 24-105mm range, allowing you to get in nice and close and capture those details which others may miss. A tilt-shift lens – this is a slightly more advanced lens but a tilt shift lens will really separate your work from others around you. As the name suggests, in basic terms, it allows you to tilt and shift the focus of the lens, eliminating those unsightly wonky lines in your images! This lens has set the standard for all wide angle lenses to follow since its introduction to the Canon lineup in 2001. It contains 16 elements in 11 groups and is seriously sharp, producing gorgeous contrast with very little barrel distortion (which is easily corrected in post) considering how wide it goes. Featuring Canon’s USM (UltraSonic Motor), the autofocus is as good as it gets with a manual over ride if you’re that way inclined. As would be expected of Canon’s L line up, it is built like a tank, featuring both water and dust resistance. So if you do get caught out in the rain on your next architecture photography job, you know your lens can handle it. 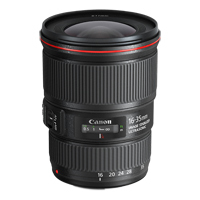 Canon also offers an even wider option, which is the EF 11-24mm f4/L USM. This is so wide on a full frame camera, though, that you will have to wear shoes which match the floor, as there is a good chance they will be in the shot. 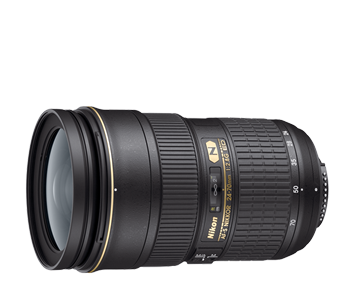 Nikon’s wide angle lens features 17 elements in 12 groups and features a SWM (Silent Wave Motor) focusing system, as well as full manual. It is only an f4 lens compared to the maximum aperture of f2.8 on the Canon lens but does feature inbuilt VR (Vibration Reduction), which Nikon claims offers slower shutter speeds of up to 2.5 stops. 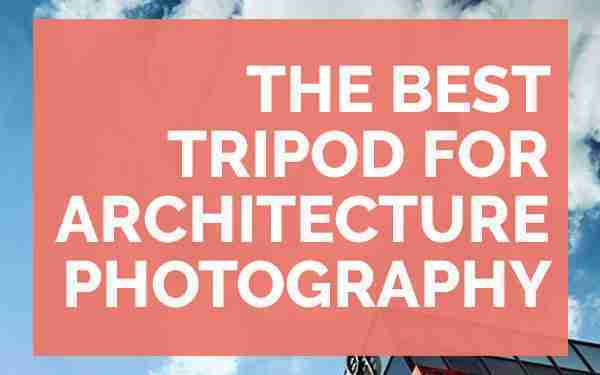 Not a huge deal if you’re mounted on a tripod all the time, but if architecture isn’t the only thing you’re going to be pointing this lens at, this could be something worth going for. Again, Nikon does offer a slightly wider 14-24mm f2.8G ED option in their lineup, but it offers no ability to directly mount filters to the lens, which for architecture photography, in my eyes at least, is a bit of a deal breaker. Sony enters the best wide angle lens for architecture party with the largest amount of random words and letters so far but with a lens that is backed with the great heritage of the Zeiss stamp. With 12 elements in 10 groups, this lens features less glass than the competition, so comes in at only 518g. The glass which is included, though, ensures there is a minimal barrel distortion through the use of a large AA (Advanced Aspherical) elements. It also minimises colour aberration with three ED (Extra-low Dispersions) glass elements too. Unlike the Canon and Nikon offers, which both have 9 aperture blades, the Sony only features 7 which will produce a harsher bokeh pattern. Not a deal breaker if you’re just shooting architecture and staying in that lovely safe f8-11 area, but as an all round lens it could influence your decision. This lens has been made purely to create the sharpest and best technical image and cuts out all the other bells and whistles. Equipped with Optical SteadyShot (image stabilisations) and an f4 aperture, the Sony lens is dust and (only) moisture resistant, so if you’re planning to use it in the pouring rain be aware it doesn’t have the same protection as the other lenses in this line-up. At the “budget” end of our spectrum is Tokina’s offering. I use the term budget loosely, as it currently comes in at just over £500, but this is under a quarter of what a new Canon or Nikon equivalent would cost you and can always be picked up cheaper second hand. This lens offers an f2.8 aperture with 15 elements in 13 groups, bringing it in at a massive 950g weight tag, so imagine an expensive bag of sugar attached to the front of your camera. The Tokina offers a DC autofocus motor as well as a GMR (Giant Magnetoresistance) module, which, apart from sounding like it’s straight from the deck of the Star Trek Enterprise, basically means improve autofocus. It also features a patented one-touch focus clutch, which is a push-pull mechanism for switching between manual and autofocus modes. The lens does suffers significantly from barrel distortion at 16mm, which can be corrected in post, and is also fairly soft in the corners throughout the whole range of apertures, but is very sharp in the centre around f5.6-8. Perhaps the biggest drawback of this lens is that it doesn’t allow you to mount filters to the lens, as the glass stands proud of the front of the lens. For me, this is a deal breaker. This lens has been developed more for speed rather than as a dedicated architecture lens, so you will need to weigh up where you’re getting the majority of your work and also if the price point can get you through the drawbacks of this lens. Another third party lens to consider goes a little wider than others on this list at the expense of the telephoto end of the lens. The only lens in this line up with an aperture of f2.8 and optical image stabilisation built-in, this is a great choice. Weather and dust sealing also comes as standard, so you can be confident at putting it through its paces, come rain or shine. Offering a field of view of 110 degrees, this lens is wide and is sharp even in the corners at 15mm. There is a small amount of barrel distortion, which is expected, but chromatic aberration is poorly controlled, so you will need to correct that in post production. The one drawback of this lens is that it will also put you through your paces. Coming in at a whopping 1.1kg, you’re going to feel it by the end of the day. However, that is the price you have to pay for the huge amount of glass needed for the constant f2.8 aperture and the 18 elements which are arranged in 13 groups. That’s enough glass to build yourself a very small greenhouse! Now you have your wide angle lens sorted, it’s time to look at the options for zoom lenses. This lens is a beast. Featuring 18 elements in 13 groups, with three aspherical elements, two UD (Ultra-low Dispersion) elements and one “Super” UD element, this lens is built for image quality. With an aperture of f2.8 and 9 aperture blades, meaning it is also capable of some gorgeous, buttery smooth bokeh. Being an L series lens, it is built to last. With dust and weather resistance built in, it will probably outlast you if looked after well. But with a price tag just shy of £1400, you may well expect it to. The one drawback of this lens is it lacks any form of image stabilisation, if you’re shooting in low light or think you’ll be using slow shutter speeds without a tripod under you, then bear this in mind, as image stabilisation is offered in our remaining four lenses. 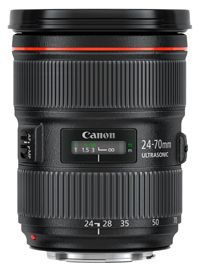 Canon does offer a cheaper 24-105mm f/4L IS ii USM lens which offers image stabilisation and gives you a few more mm on the telephoto end, but it doesn’t come close to the image quality of the 24-70mm. As always, it’s a constant fight between cost and use. Nikon’s 24-70 features a whopping 20 elements in 16 groups, including two ED (Extra-low Dispersion), three aspherical pieces of glass, one aspherical ED glass and one HRI (High Refractive Index) elements. In basic terms, that’s a heck of a lot of glass combining to create exceptional image quality which Nikon has become to be associated with. 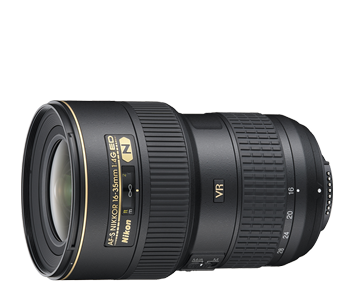 This lens keeps on giving, with Nikon’s VR (vibration reduction) which provides an effective equivalent to a shutter speed which is 4 stops faster. If you think you may be shooting a lot in low light situations, then this may be the lens for you. It does weigh in at just over a kilogram and comes in at nearly two grand, but it is a serious piece of kit. 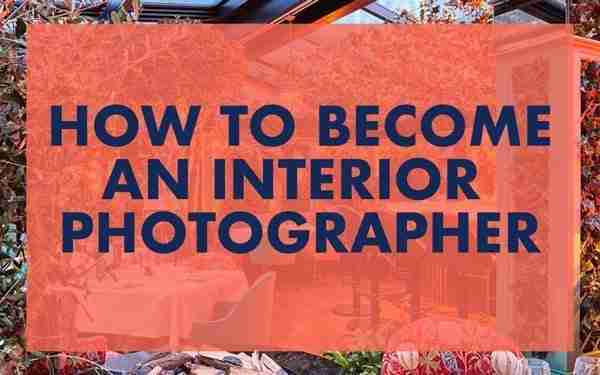 If you own a Nikon body and want the best standard zoom lens for your interior photography, then look no further. With a name like G Master, this lens better bring something big to the table. Thankfully, it manages to get most of the way there. Featuring an XA (Extreme Aspherical) lens as well as two aspherical lenses and one ED and one Super ED glass. So, much like its wide angle counterpart, this lens is built purely for image quality, which is not a bad thing at all. It comes equipped with Sony’s DDSSM (Direct Drive Super Sonic Motor) which makes the auto focus lightning fast, as well as a focus mode switch, focus hold and zoom lock to give you complete creative control of focus with this lens. As you would expect though, the quality costs. Coming it in at just shy of £2300 at the time of writing this, this is our most expensive lens. If that price tag makes you cover your wallet in a protective fashion then you can pick up a Vario-Tessar T* 24-70mm for around half the price, which features a constant f4 aperture. 17 elements in 12 groups brings this lens in at 900g. This includes 2 XR (Extra Refractive Index elements, 3 LD (Low Dispersion) elements, 3 GM (Glass-Molded) and one hybrid aspherical lens element. According to Tamron, this minimizes axial chromatic aberrations, transverse chromatic aberrations, spherical aberrations and distortion. If you’re not all aberrationed out by now, then this lens also offers a best in class VC system. Offering a massive 5 stops of stabilisation and a USD (Ultrasonic Silent Drive) to give silent autofocus, it isn’t quite as fast as the Nikon or Canon offering, but we’re really trying to pick faults here. It is also weather sealed and incredibly sharp throughout. To top it all off, the Tamron comes in at under half the price of the big three, so if you’re not brand loyal and the minimal difference in auto-focus won’t matter to you, then this could be the best standard zoom lens for you. 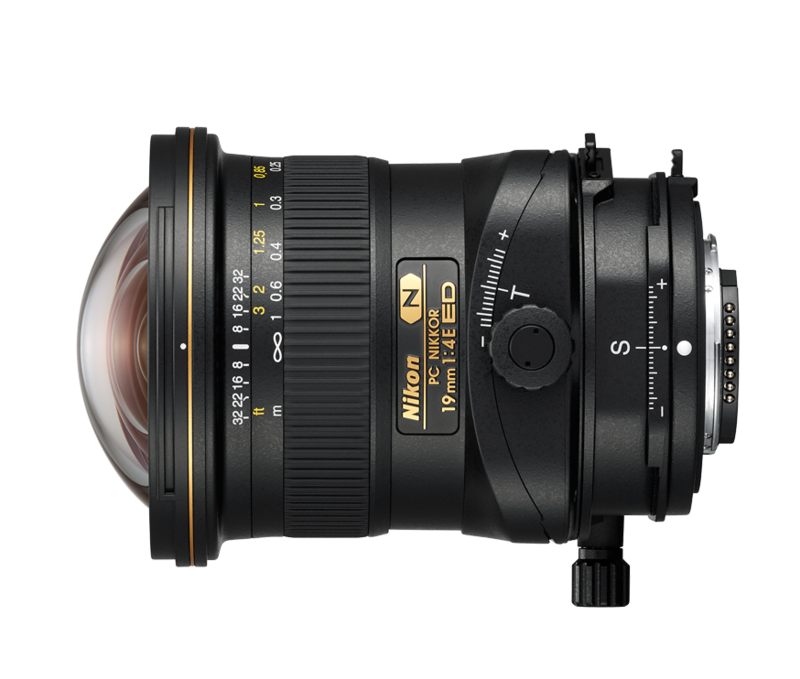 Described by Sigma as a “modern workhorse”, this lens is part of their Art series of lenses which Sigma promotes as its higher end option. Equipped with 19 elements in 14 groups and weighing in at just over a kilogram, it is a solid lens and the build quality is right up there with the other mainstream manufacturers. The HSM offers super fast autofocus and OS offers 4 stops of stabilisation, which is in line with both of the offerings from Nikon and Sony. Where it is slightly let down, and for many this is perhaps the most important reason for buying a lens, is the image quality, which doesn’t quite match the others in the list and is visibly softer in the corners throughout the aperture range. 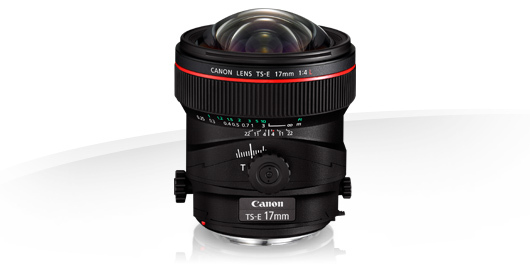 The canon 17mm is the widest tilt shift lens available on the market, offering a field of view of 104 degree and giving 6.5 degrees of tilt and 12mm of shift. There are 18 element sin 12 groups which means there is a decent amount of weight to this lens, coming in at 820g. It does also feature dust and weather sealing meaning Canon say it can “withstand regular use in the most testing environments”. The Nikon counterpart is a few millimetres longer than the Canon version, so if you’re looking for the widest image and you’re yet to purchase a camera body and don’t want to buy adapters, Nikon may not be the way for you. For most people though 19mm, or a field of view of 97 degree, will be plenty wide enough. It offers 7.5 degrees of tilt and 12mm of shift as well as the ability to rotate the shift part of the lens 90 degrees to the left and right, with click stops every 30 degrees..
17 groups in 13 elements, including 2 aspherical elements and 3 extra low dispersion (ED) elements produce amazing image quality. 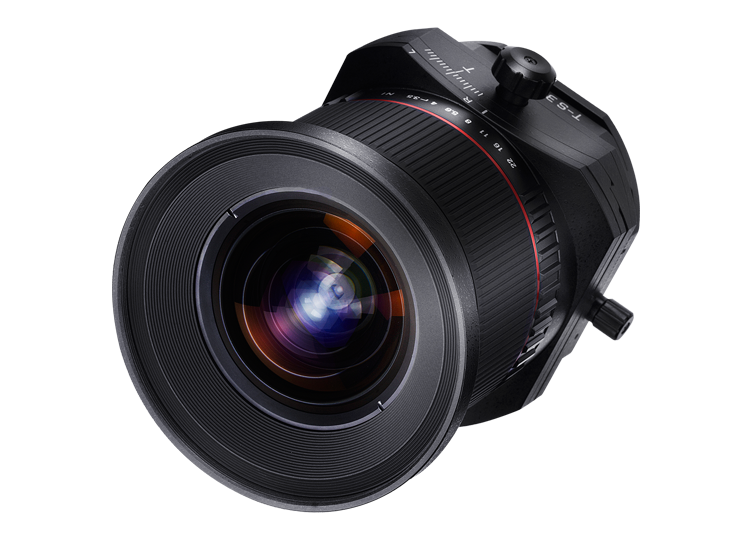 Samyang, which trades as Rokinon in some countries, offers a third party 24mm f3.5 ED AS AMC. 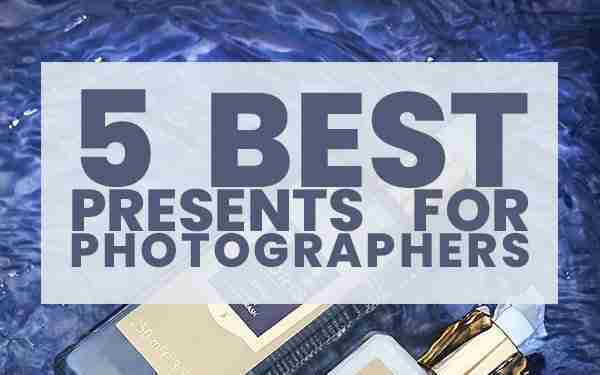 If you’re tight on cash this comes in at just under half the cost of the Canon and Nikon offerings. So if you’re not particularly bothered which brand is stamped on your lens and only need the option of 24mm, this could be a good place to start looking. Offering 8.5 degrees of tilt and 12mm of shift, this lens is going to be able to get you out of the tightest of situations. 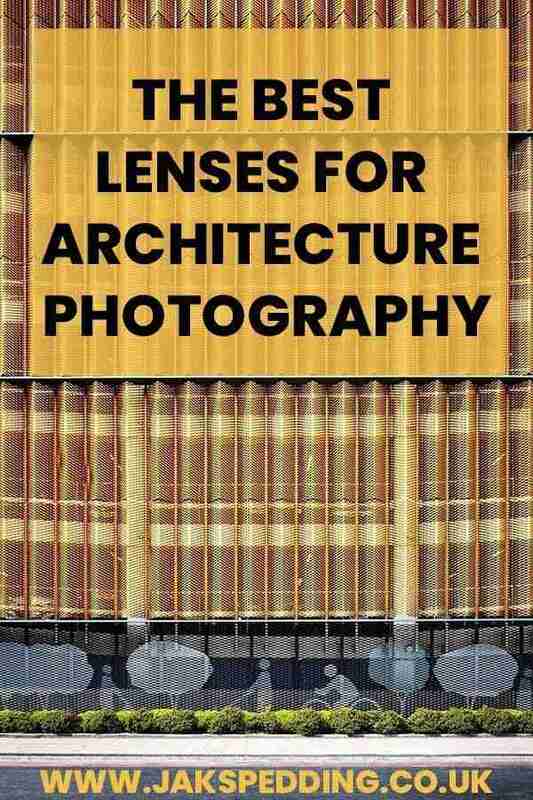 That’s our list for the best lenses for architectural photography, if there are any you think we have missed then pop them in the comments below and be sure to sign up to our regular tips straight into your inbox!